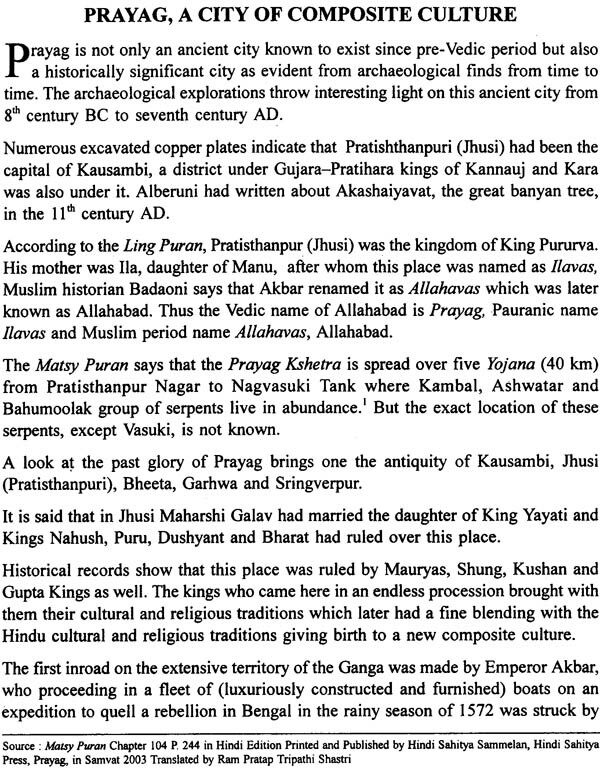 This study attempts at projecting Prayag (Allahabad) as one of the four major focal centres of eastern consciousness. As a moving open university showing a continuum of spiritual and cultural traditions of over 2500 years, Prayag is a vibrant centre of the Indian vision of the world as one family and is, in fact, an epicenter of joy, divine contact and bliss, the much sought-after goal of the Hindu way of life. The study endeavours to explain that with deep faith in living presence of Power Sublime, Pilgrims from across the country and world gather at Prayag to reap benefits of the blissful influences on the occasion of Kumbh every twelfth year and bathe in the glory of transcendental grace. 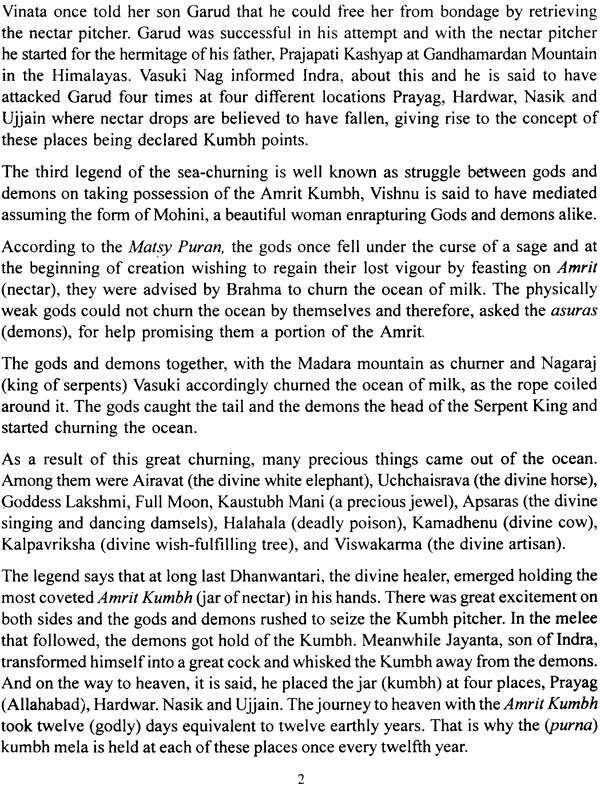 Since Vedic or even pre-Vedic period Prayag has not only been attracting great minds in various fields of humanities, but also Gods and demons alike together with all Teerth Gods of the World counted at 33 crore and ten thousand. The study strives to explain that the great sages, saints, seers, Dharma Gurus, Dharmacharyas, educationists, reformers, preachers of various sects-Shaivites, Vaishnavites, Shaktas, Buddhists, Jainis and Arya Samajis and educationists in the methodology of knowing and the Knower have continued to visit Prayag during Kumbh Parv through two and a half millennium for the benefit of the masses. No wonder then that India's education was a fount for many a foreign scholar who travelled to his country in search of higher spiritual knowledge. Chinese scholars, Fa Hien and Huen Tsang have recorded glowing analyses of Indian wisdom of the time and high level of scientific knowledge that sprang from discerning experiments with nature and thought. Art and culture flourished under the reigns of enlightened monarchs and great philosophies emerged from seers, saints and Acharyas. The great luminaries and mystic saints, Buddha (563-483 BC), Mahavira(6th Century BC), Shankaracharya(9th Century AD), Ramanujacharya(1137 AD), Madhvacharya(1192-1276 AD), Nimbarkacharya(13th Century AD), Bhakt Namadev(1270-1352 AD), Saint Jnaneswar(1271-1296 AD), Hazrat Nizamuddin Aulia and Amir Khusro(13-14th Century AD), Swami Ramananda(1400-1476 AD), Saint Kabir(1440-1518 AD), Guru Nanak(1496-1539 AD), Mahaprabhu Vallabhacharya(1473-1531 AD), Chaitanya Mahaprabhu(1486-1533 AD), Goswami Tulsidas(1532-1623 AD), Swami Thyagaraj(1764-1846 AD), and a host of other divinely inspired propounders of spiritually-based education were great reformers, and up lifters of moral and social values and religious fervour. In the twentieth century the tradition was continued by Swami Aurobindo, Swami Vivekanand, Lokmanya Tilak, Brahmarshi Yogiraj Deoraha Baba, Saint Prabhu Dutt Brahmachari, Sripad Baba, Swami Chinmayanand, Maharshi Mahesh Yogi, the Shankaracharyas of the four Mathas, A. C. Bhaktivedanta of International Krishna, Consciousness Society, Ramakrishna Mission, Satya Sai Baba Seva Sansthan, Bharat Sevashram Sangh, Roop Gaudiya Math together with a host of other socio-spiritual institutions were engaged in continuing the tradition in the 20th century. The spiritual-cultural tradition in Prayag is known to have been patronised since beginning by kings, priests and merchants who conserved and protected it. The acetics, aesthetics and scholars meditated, conceived and propagated and in fine tuning with their soul as well as nature, set the goal of truth, bliss and beauty, which flowered in the Vaishnav and Sufi societies. Thus Prayag is a repository of creative human vibrations. It is a centre of prolific spiritual energy. 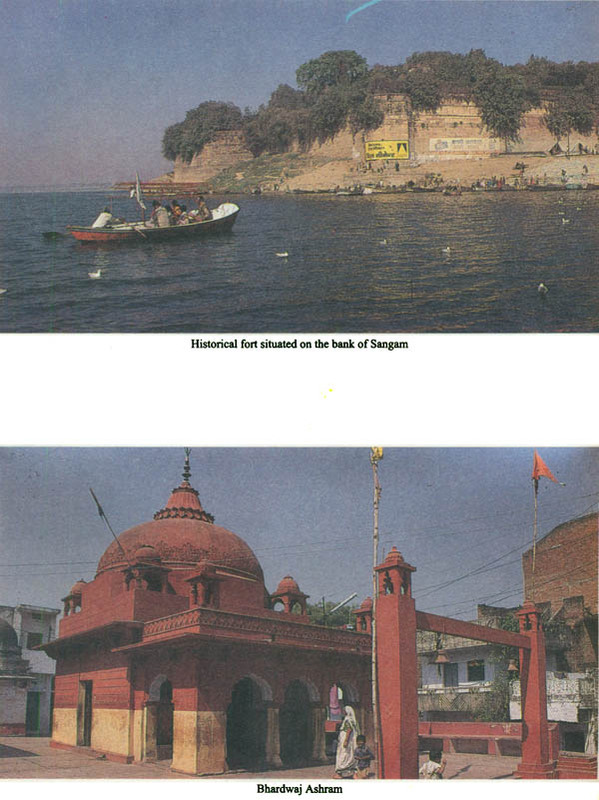 The Sangam has been a witness to pro and anti-vedic waves as seen in the rise of Jainism, Buddhism and re-establishment of Vedic culture by Adi Shankaracharya who had humbled Bauddh Kumari Bhatt in a public debate. Bhatt ended his life in Prayag lying in between ignited heap of husk. Prayag is a centre of spiritual and moral education, spiritualism and morality in India and has guided political and socio-economic actions as reflected in the freedom movement led by Mahatma Gandhi making Allahabad a vibrant centre of political activities. Prayag has a rich historical, cultural and spiritual heritage of holistic eco-cultural evolution which has not been explored fully for English readers. Prayag (25o30' north latitude, and 81o55' east longitude) has closely been associated with the shaping and preserving of cultural and religious traditions of the country. In spite of numerous political vicissitudes during its long history of over two thousand years, its glory as one of the foremost cultural and religious centres has remained undiminished. Allahabad lies between the parallels of 24o47' north latitude and 81o21' east longitude. The rivers Ganga and Yamuna which unite at Prayag, divide the district into three parts: the Doab, the tract between the two rivers, the trans-Ganga tract and other the trans-Yamuna region. 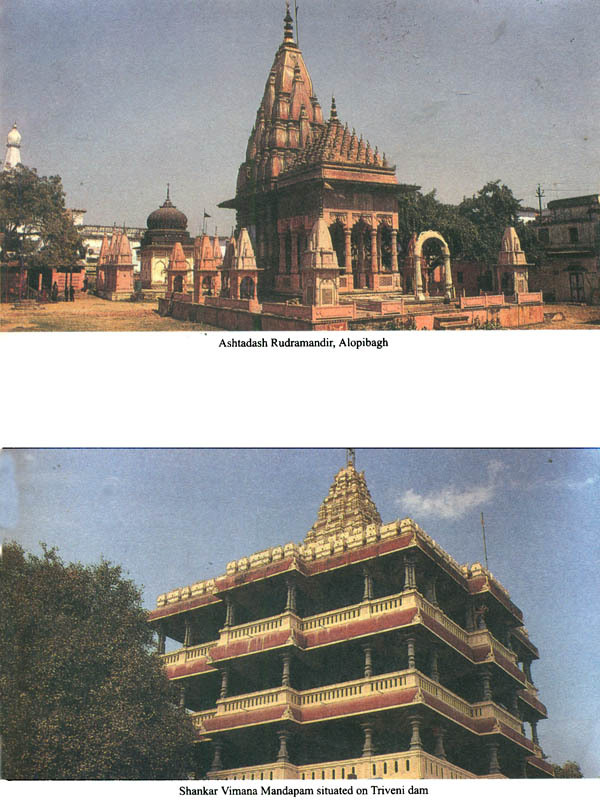 In its physical features Allahabad presents a complexity which is found only in a few districts of Uttar Pradesh. The district includes, on the one hand, the tracts consisting of the ordinary alluvium of the Ganga plain, and, on the other, the hilly region in the south and west of the trans-Yamuna tract represented by the sub-divisions of the Vindhyan series. 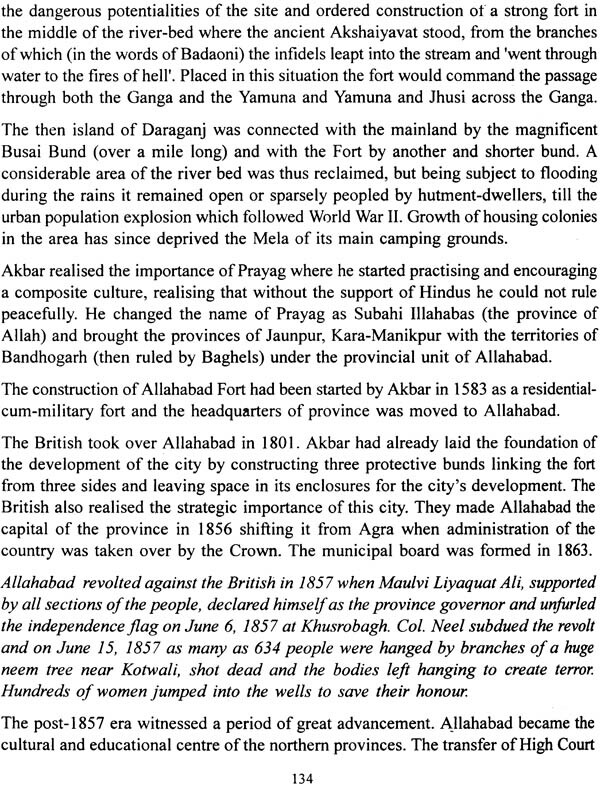 The situation and the physical features of Allahabad thus enabled it to become one of the most important regions which contributed to the formation of the history and culture of this country. Prayag is a core centre of awakened consciousness on the bank of the Ganga, the Yamuna, the two visible rivers at the confluence, and mythical Saraswati, goddess of knowledge, key to the process of knowing and the Knower, all knowledge, pure consciousness called Brahman from Whom issues the world and in Whom it finally vanishes. The study gives a glimpse of the important centres of faith in and around Allahabad and into its indomitable spirit of rebellion against subjugation and unfair practices as seen in the freedom movement since 1857. 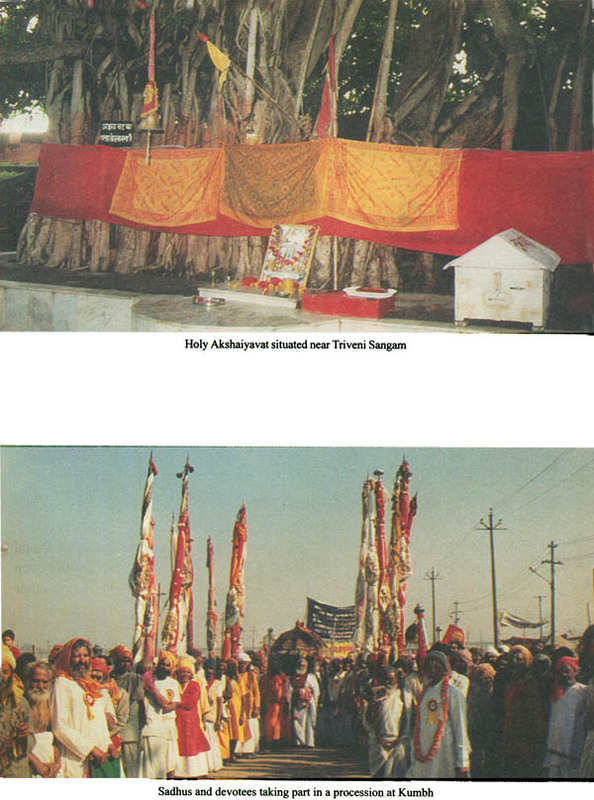 It traces the genesis of the kumbh, its astrological significance, the temples as centres of sustaining faith and modern science-technological institutions, including the University of Allahabad. 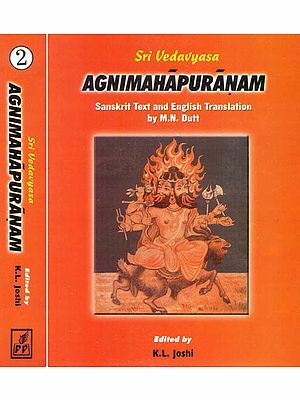 The Hindu scriptures in Sanskrit from Vedas, Puranas, Shrutis and Smritis, Mahabharat, Balmikiy Ramayan to Sri Ram Charit Manas of Tulsi Das are replete with references to Prayag and Kumbh Parv, but no serious attempts have so far been made to project a comprehensive view of Prayag in book form to English language readers in India and abroad. This study attempts at filling this gap. For me it is the fourth Kumbh since 1965 falling in 2001. Thus this study is a result of not only a study in Prayag but also of my personal experiences during the annual magh mela, Ardh Kumbh and Kumbh periods since 1955 when I came to this city as a student of intermediate. I hope this study would catch the fancy of the readers. I am specially grateful to Shri Ravi Bhushan Wadhawan, Chairman, Centre for Cultural Resources and Training, New Delhi, for his proposal to me to write a book on Kumbh City Prayag and also to its Director General Shri Surendra Kaul who graciously agreed to print and publish the manuscript. I am thankful to my friends, D K Gupta of Wheeler's Book Shop in Allahabad, journalist friend Dr. B S Gehlot and his wife Dr. Gayatri Gehlot who took a fancy for my project of study on this ancient yet modern city and encouraged me to complete it. My wife Pratibha and children Ajit, Amit, Saurabh, Smita and Pallavy have done me a good service by going through the script of the study and goading me to completing it on time. My earlier book in Hindi, 'Teerthon Ka Teerth Prayag' too made my study for the English readers easy. I am myself surprised at having compiled the study, which, in fact, began as early as in 1955, first as a student, and later from 1961 as a journalist. 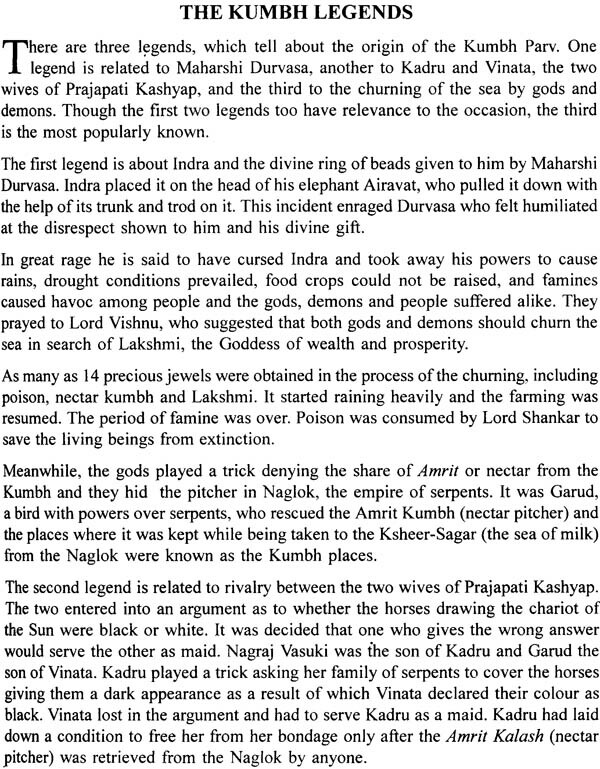 I had, however, taken care of keeping a record of what I had written during the past four decades on Kumbh occasions. This made my compilation of the study easier and it is before the readers for their evaluation. Born on July 1, 1940, Shiva Kumar Dubey is a post - graduate in English and D Phil from the University of Allahabad, The topic of his thesis was Major Themes and Narrative Technique in the Novels of Khushwant Singh: A critical study. By Profession, Dr Dubey is a journalist of four decades of standing having worked in different capacities in both Hindi and English newspapers and News Agency and writes freely in the two languages on social, political, religious and literary issues. His earlier book in Hindi, Teerthon Ka Teerth Prayag' was highly acclaimed by readers and earned him Saraswati Samman. Dr. Dubey combines in himself the twin worlds of facts and fancy, of practical wisdom and imaginative resourcefulness.